Tommy Davidovic Why we shouldn't avoid risk. What does it look like to think creatively about the housing crisis, the biggest problem currently facing our city? In the 1980’s Ronald Reagan used the recession as an excuse to cut spending on social services, including mental health and housing, which is the primary factor in the population of people experiencing homelessness rising from 200,000 to more than 1.5 million today. With state level roadblocks like TABOR, and an increasingly ineffective state legislature, it is becoming increasingly incumbent on local municipalities in Colorado to tackle this growing problem at the local level. This talk focuses on the myriad of solutions that exist, both short- and long-term, and what barriers stand in our way. 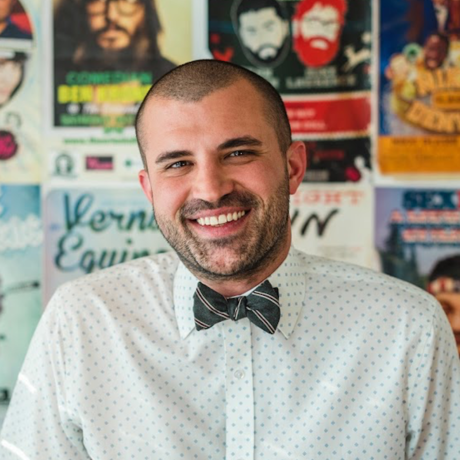 Kayvan Khalatbari is an entrepreneur, community advocate and 2019 candidate for Mayor of Denver. He currently owns 13 businesses in multiple industries, which employ more than 300 people in eight states. He serves on the board of directors for the Colorado Youth Symphony Orchestra and Harm Reduction Action Center and serves as Chairman for the Minority Cannabis Business Association. Additionally, he is a core member of the Alternative Solutions Advocacy Project, which was the primary force behind Denver’s first tiny home village. Kayvan is a fierce advocate for criminal justice and drug policy reform, the rights of people experiencing homelessness and promoting access to creative opportunities for youth and underserved populations. He has been a mentor in the Denver Kids program for more than a decade and is currently establishing guardianship for two young girls, ages 7 and 11.